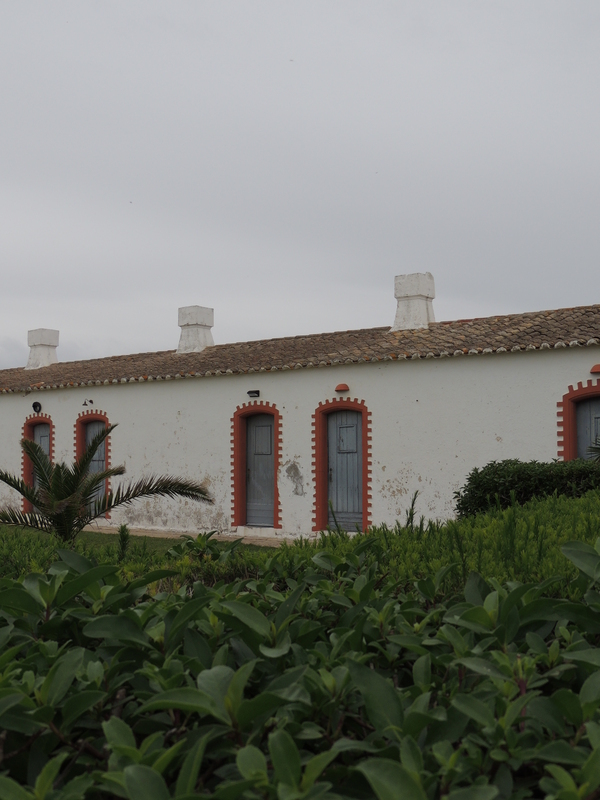 it isn’t often that you can catch the train directly to the beach, but a short distance from Santa Luzia overlooking the Ilha de Tavira that is exactly what you can do to get to the Praia do Barril. 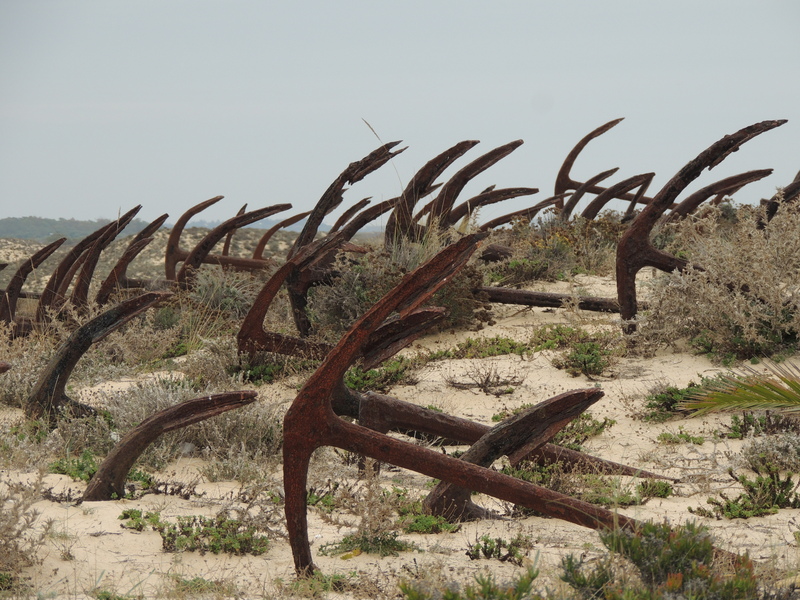 We visited on a rather grey winter’s day but even so it was still a lovely place to be and the collection of anchors on the beach quite haunting. Must admit the train was great fun, and well worth the couple of Euros. It is a short trip on the narrow gauge railway, or you can walk if you prefer, to a deserted village. Even out of season there was a steady flow of walkers and people on the train, and the train driver was having great success fishing off the pontoon bridge in-between journeys. The village was once a seasonal home to Tuna fisherman and their families, the last working usage as a ‘Tuna Fishing Station’ was apparently in the 1960s. This small collection of tiny homes now hosts a museum, cafe and facilities. Ooh yes that would be an excellent idea.